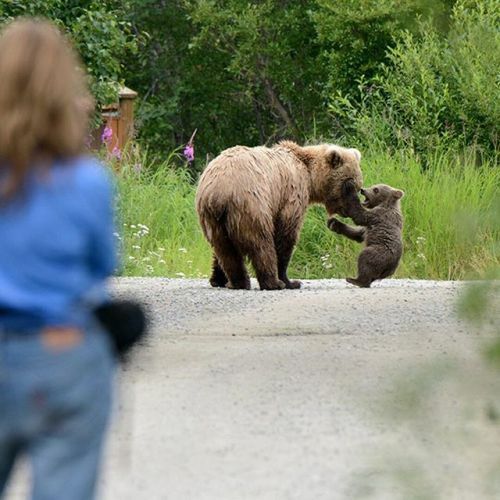 “A #bear played with her cub at Brooks Camp at Katmai National Park as visitors looked on. The camp, in #Alaska, has long been considered one of the state’s best bear-viewing spots. Since 2012, Katmai has been streaming video of the bears, turning them into social media stars. The lucky ones who score reservations to see the celebrities in person — just 60 people a night — must stay 50 yards away. Mark Meyer photographed the bears for @nytimestravel.” By nytimes on Instagram.